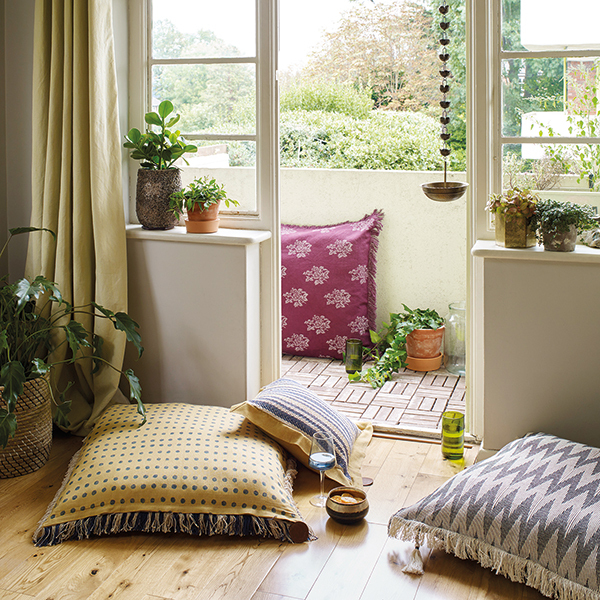 Napean Sea was launched in the English capital two years ago, with the view of curating products inspired by India. 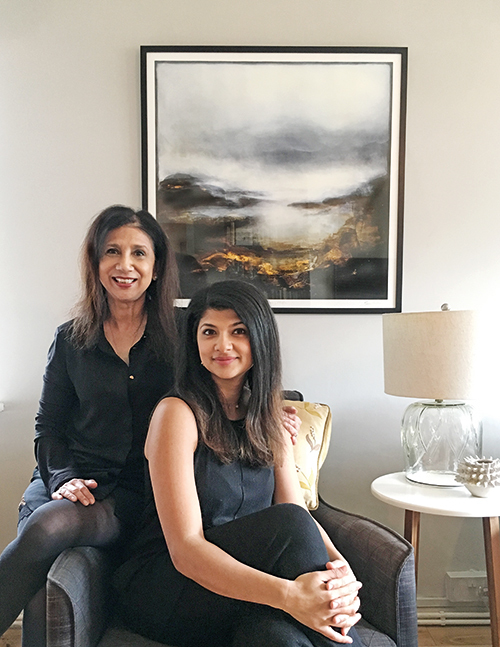 For Reena Wahi, this was her way of staying true to their family business — that involved manufacturing and exporting textiles — while having a platform to let her creative side shine. Her daughter Rohini Wahi brings knowledge of the industry and the online space to the brand — many years ago, she started a successful interiors blog titled The Beat That My Heart Skipped, where she honed her acumen for pinpointing worthwhile trends. Reena Wahi: I have always loved patterns and I needed a platform to express my creative side, which had been somewhat latent for years. My husband passed away in 2006, and I continued running Indus Textiles, the business we had grown together. By 2012, I hit a saturation point and toyed with the idea of building my own brand instead of just being a supplier. Napean Sea Road in Mumbai had been a safe haven for me and held memories full of fun and friendship spanning my days in college. The brand was born from this space of love, uniqueness and the magnificent glint of the Arabian Sea. Rohini Wahi: For me, it was about wanting something meaningful of my own which was away from the computer, and which my baby, Aarya, could be part of. Napeansea was born of this desire. Rohini: We find inspiration in the design landscape of Mumbai and a common nostalgia of the city. Our aesthetic comes from the vintage interiors of its members-only clubs, concept stores and eateries — establishments which revel in the city’s colonial past and equally hurtle towards a fashionable new future. Rohini: Mum designs the products and works on the realisation, travelling to India at least twice a year to put projects into place. She also works on the wholesale side of the business. Creative direction for the shoots is my department. I also deal with the e-commerce site and marketing. We are both involved in event planning and collaborative projects with other brands, and launched both our collections at pop-ups in West Elm last year. Rohini: The benefits of working with my mother outweigh the challenges. We are very close and our lives are intertwined in more ways than the business. We debate quite a bit for the betterment of the brand, but I think that that makes the label stronger. Mum is more fluid in her approach; I am more structured and methodical. The key to our working relationship is that we both have the same vision and are respectful of each other’s strengths. It’s been two years we’ve been functioning together, and I feel we are a pretty well-oiled machine these days. Rohini: For me, design means conceptualising an everyday sanctuary for families where they are surrounded by meaningful objects, heritage and memories. I think the meaning changes over the years. When I was in my teens, I used to stash anything pretty and shiny under my bed for my future home. Eventually, when I moved into my own home in my late twenties and began to cull all the objects I had curated, I figured out that the things that made the cut were those that meant something to me. Rohini: What is exciting for me is seeing how Indian design has transitioned from emulating the West to embracing and celebrating its Indianness. I’ve seen gorgeous textile collections featuring witty illustrations of a Kolkata neighbourhood, and clothing inspired by the vintage style of Bandra aunties. I also believe that modern India is inclusive and ‘open source’ in the sense that we are part of a global network of people who don’t see each other as competition but as family. We meet to share contacts and celebrate each other on social media, and are joyful that our heritage is being celebrated. Both: We are currently working on a scarf collection in collaboration with Gail Bryson, a London-based graphic designer. It is inspired by the pastel hues on sun-bleached hoardings in India and the art deco buildings of Marine Drive. 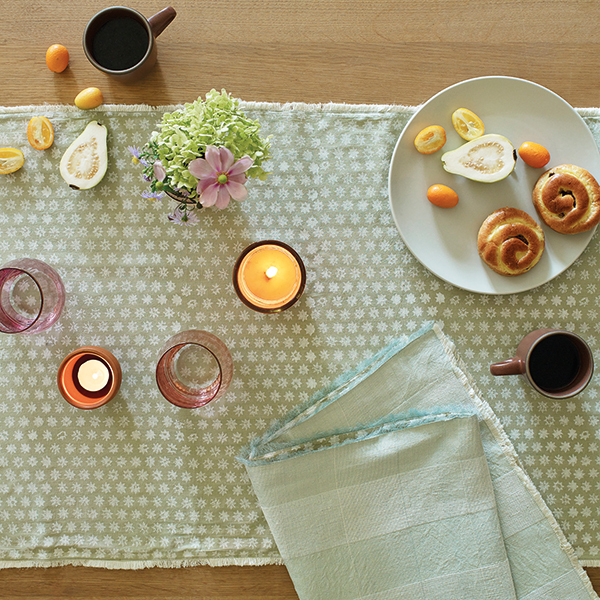 We are also designing a bed and bath collection for Contemporary Arts and Crafts. Even though we are based in London, we see ourselves as a global brand and hope to be recognised and appreciated as one.